The smartphone is still the main hub of the Internet of Things and the market may be approaching somewhat of a saturation point. Smartphone makers shipped 334 million units during the first quarter of this year, but that’s 10 million fewer than shipped in the same quarter last year, according to the latest tracking report from the International Data Corporation (IDC). The main slowdown in the worldwide smartphone market is in China, with an overall decline of 3% in shipments. 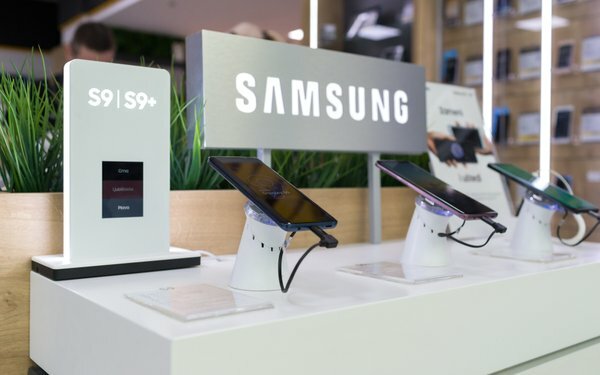 Samsung remained the market leader, helped by its new S9 flagship phones, even though it entered the market late in the quarter. Outside of the flagship, the A series and J series drove most of the volume in developed and emerging markets. Despite relatively low market sales rumors for Apple, the company moved 52 million iPhones, a 3% increase from the previous year. The new iPhone X was the most popular in the quarter, according to Apple. There are rumors that new iPhones will arrive in September, with new features and perhaps a more affordable mid-tier model. While smart speakers in the home attract usage over phones for many activities, and more TV remotes gain voice capabilities to control smart home devices, the smart phone keeps chugging along. The number of units shipped each quarter may decline, but the overall number of people with smartphones to control smart homes is massive.